Outcross Kerrigan daughter from the Cosmopolitans! HWH K&L Dia Saphir VG-85-FR 2yr. 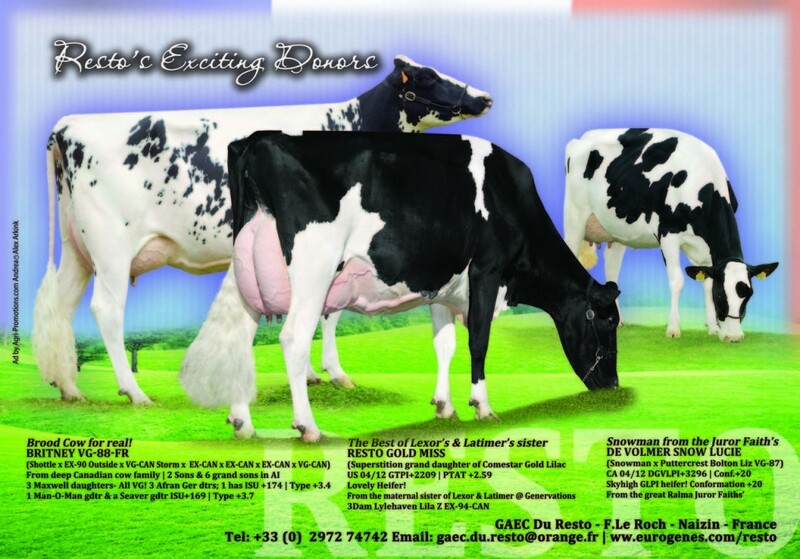 De Volmer Snow Lucie VG-85-FR 2yr. Donnandale KL Bo Sally VG-86-FR 2yr. 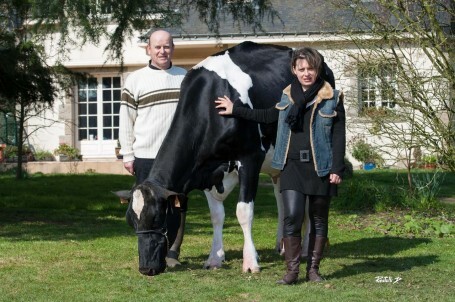 Welcome to the website of GAEC Du Resto Do not hesitate to contact us for more information about bulls, embryos or breedingstock from the best cow families like that of Lylehaven Lila Z, Badger Durham Patch and more.